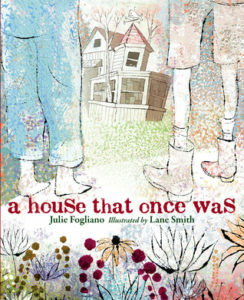 This is a book about two children who go exploring in the woods and come across an abandoned house. As they enter and wander through the rooms, they imagine what kind of people occupied the house when it was nice. The text flows in a sing-song kind of manner, almost like a dance. Very young children might not understand the concept of the book but they will probably enjoy the flow of the words.